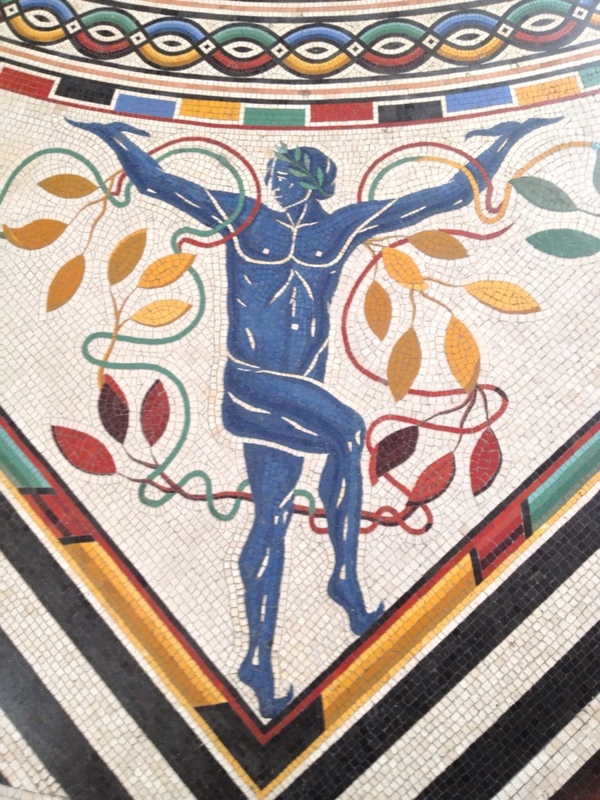 Fabulous Rome! 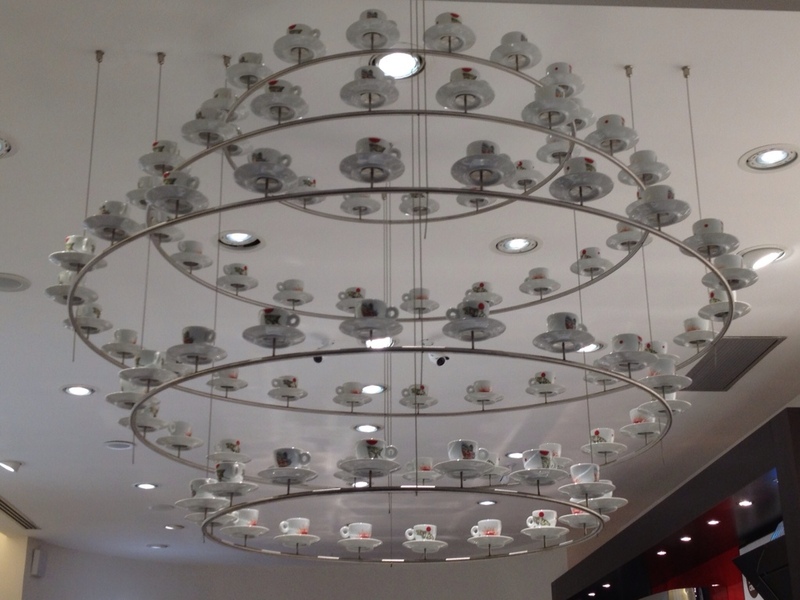 Coffee cup chandelier. 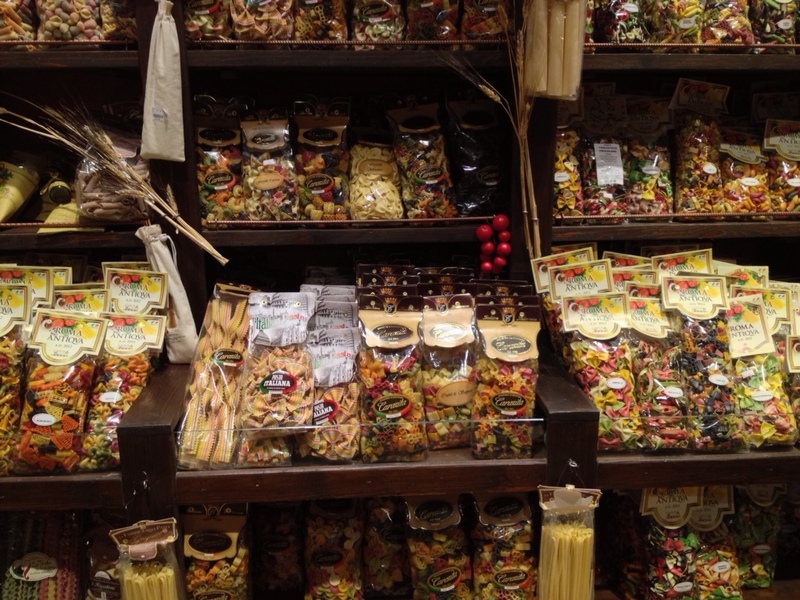 Where the pasta shops are prettier than the sweet shops! 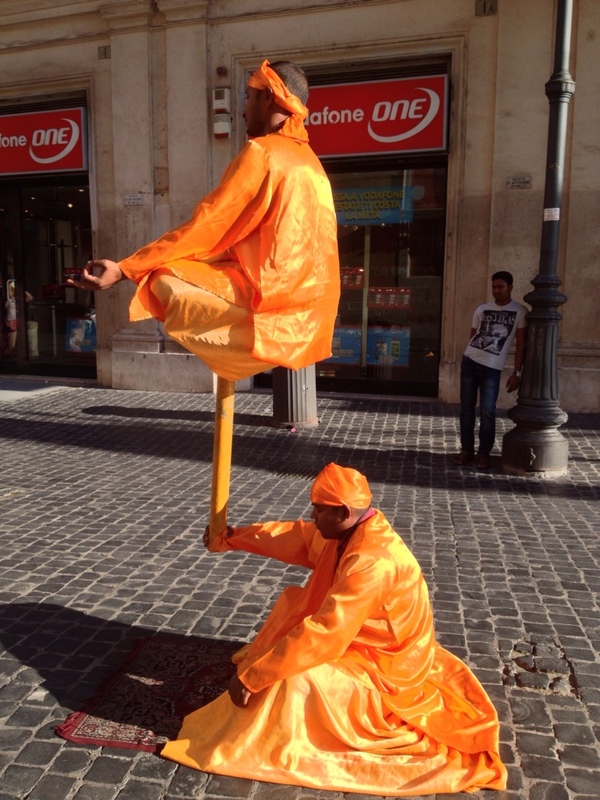 On the way to the Vatican yesterday. Beautiful blue skies! 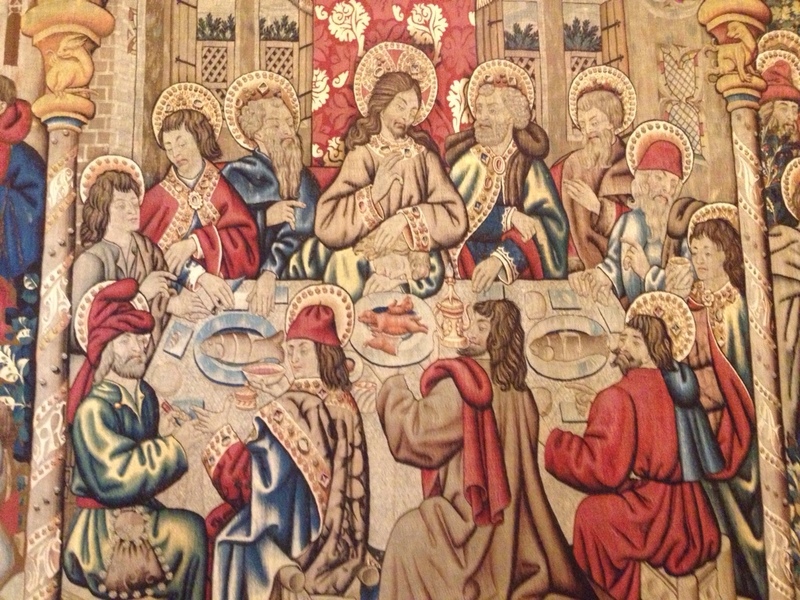 The Last Supper from a huge tapestry. Who is asleep on Christ's lap? 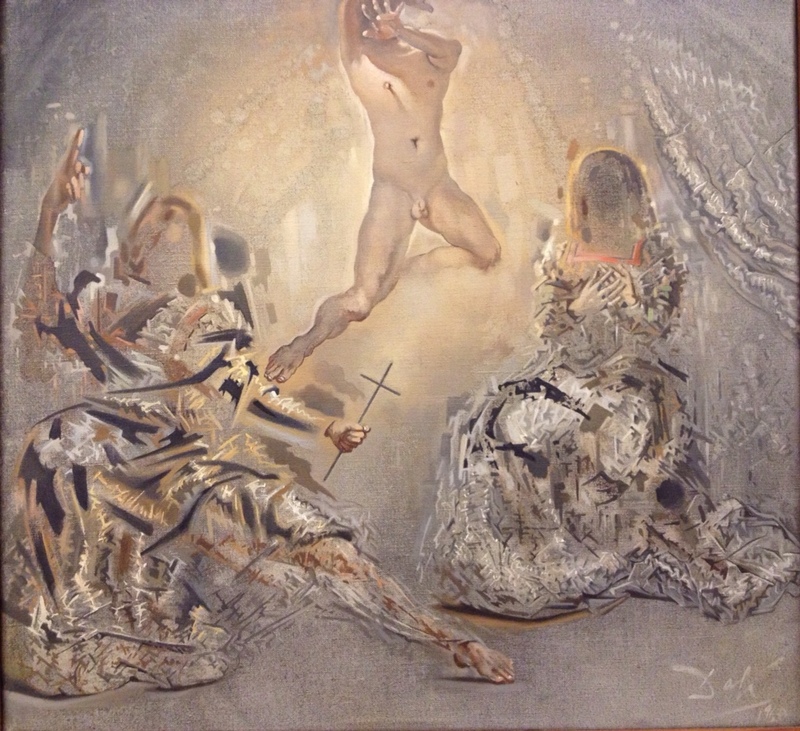 Also in the Vatican Museum, by Salvidor Dali. 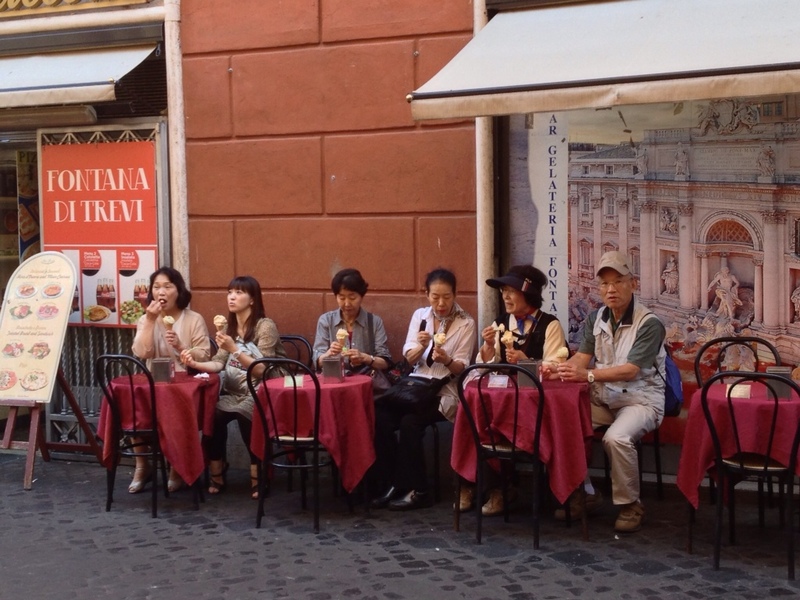 Below: everybody loves a gelato! 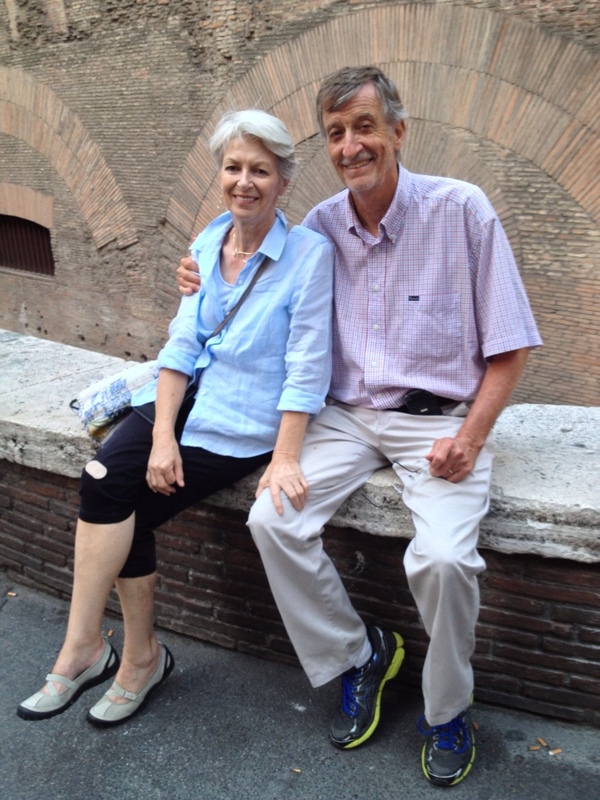 Don's gorgeous sister Fran and her husband Bob, our travelling companions in Italy. You can't not love Italy with these two afficionados at your side. Here we all are at the Colosseum. Can you see Woody from Toy Story. We just took a photo for a guy who had Woody in all his photos and he let me have Woody to hold in the photo he took for us. I remember visiting the Colosseum 38 years ago. It had no museum or shops inside then, from memory, and once inside you could wander at will. You didn't have to queue to get in and were allowed down into the cells at the lower levels. 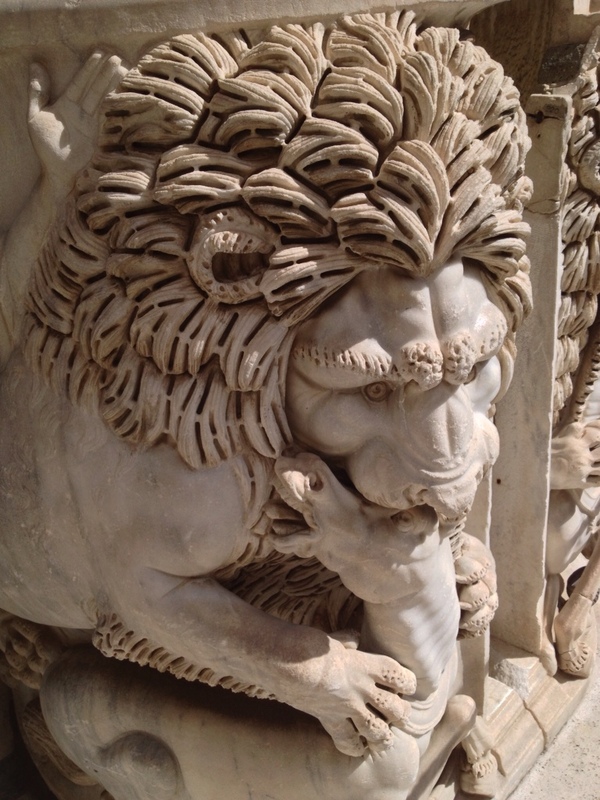 Knowing that Christians had been thrown to the lions here I remember how glad I was to get out of the place after being struck with a feeling of fear and horror. This time it was so overrun with tourists that it was merely an interesting site to visit. Large placards detailed the events that used to take place, including plays that were put on, where people who had previously been condemned to death were made to play parts where their characters would die when they were set alight or knifed during the performance. We were about to leave the Colosseum when I found a platform that allowed us to look into those lower cells that I remembered from my previous visit. I swear I smelt a lion! Holding cells beneath the stage. A part of the stage has been rebuilt to give an idea of where the performances took place. OK, that's it for Roma! This Post was tagged Colosseum, Dali, gelato, Last Supper, levitating, lion, mosaic, pasta, Rome. Bookmark the permalink. Bron, did you see my Fearnmore post and who I met at Armadale Castle on the Isle of Skye after recognising the Glen Innes tartan? How amazing is that? Some more great moments! Loved your pictures again – you bring such great humor to your blogs as well as the great moments. Miss you.